They aren’t navy, they’re gray surely? I don’t know if its just a really really good painting or if its simply shopped. Or could be Transformers (2008) Blackout. 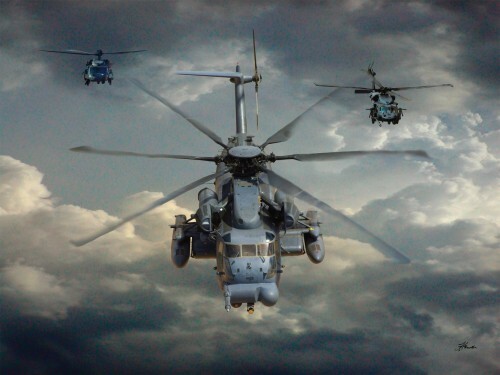 Navy helos are painted gray now. They fly over me every day! They do Search and Rescue when not needed at war. Marines are another subject.